We are a most sought name as a manufacturer of Milling Cutting Tools, Thread Rolling Flat Dies, Push Type Broaches etc. The products are manufactured under strict quality control measures adhering to the international standards. The latest upgraded technology is used which enhances the products’ efficiency level by multiples. The raw materials and the final products are tested repeatedly to avoid all kinds of flaws. We are fully aware of our responsibility of satisfying customers’ requirements in this regard. The products are manufactured as per the specifications demanded by the customers. We believe in maintaining long term relationship with our customers with the help of optimum quality products and that too most moderate price. 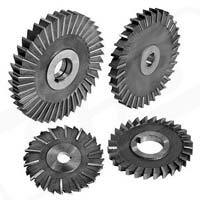 We are internationally acclaimed as an Exporter and regarded among the prominent Suppliers in India.